From Air Conditioner Repair to Battery Replacements - We've Got You Covered! Beat the heat – make sure your AC is in optimal condition so your car stays nice and cool. Batteries and Electrical Systems are integral components of your car. We can repair or replace. Belts and hoses often have a very short lifespan. We do a thorough inspection to determine if yours need replacing. Squealing or grinding noises when you hit the brakes? ABS Light on? Don’t drive with bad brakes – we’re here to help. Hearing a clicking or cracking noise when making tight turns? You may have a worn joint! Your axle bears the weight of your car, so don’t ignore the signs. Your Exhaust routes the gases from your engine away from your car, in addition to converting pollutants and reducing the noise your engine outputs. We offer complete exhaust system repairs. The Radiator is one of your vehicle’s most important components – it keeps the engine cool and keeps it running. A faulty radiator left unchecked can lead to major problems. Automatic Transmissions are comprised of multiple parts and systems that work together to power your vehicle. Proper care will help ensure that your transmission stays strong. We Will Make Sure Your Car Stays Running Smoothly! If your Check Engine light is on, we can run a diagnostic to figure out what the issue is. A Seven-Point Cooling System maintenance check is reccomended once every two years. Regular Oil Changes are crucial for keeping your vehicle running smoothly for a long time. In addition to changing your oil, we will top off your fluids. Stay in front of any problems arising by scheduling mileage-specific maintenance checkups. We recommend checkups at 30k, 60k, and 90k miles. You can increase the performance and extend the life of your vehicle by regularly bringing it in for a tune-up. 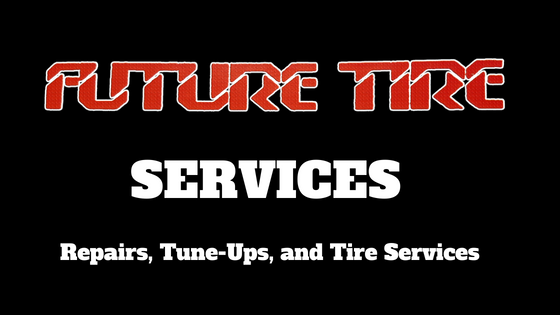 We recommend tune-ups every 30k miles, or at least every 2 years. 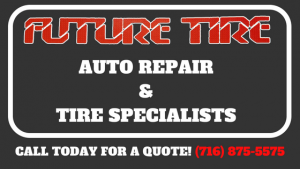 We Will Optimize Your Current Tires Or Find You The Perfect New Set! Improperly aligned vehicles can create costly and dangerous problems. 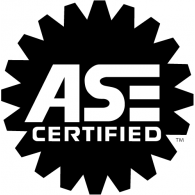 Our alignment experts will make sure your car is properly aligned. We can inspect, repair, and replace your control arms, ball joints, springs, shock absorbers, struts, and more! We have a whole page dedicated to our tires – you can check it out here. In addition to offering a large range of quality tires, we can assist with any tire related issue, from a flat to low PSI! Your rear wheel tires typically see less wear than your front tires. Regular Tire Rotation can help extend the life and performance of your tires. We recommend a rotation with every other oil change (or 3k to 7k miles). Is your vehicle vibrating when you drive about a certain speed (50 MPH+)? This could indicate a wheel imbalance (one part of your tire is heavier than the other). It’s an easy fix that makes a huge difference. We Offer A Large Range of Services. Don't See What You Need Listed? Give Us A Call!